« Hefty Everyday Plastic Party Cups (Assorted Colors, 16 Ounce, 100 Count) $7.40! What do you think of when you think of summer? I think of pools, iced tea, lemonade and S’MORES!! 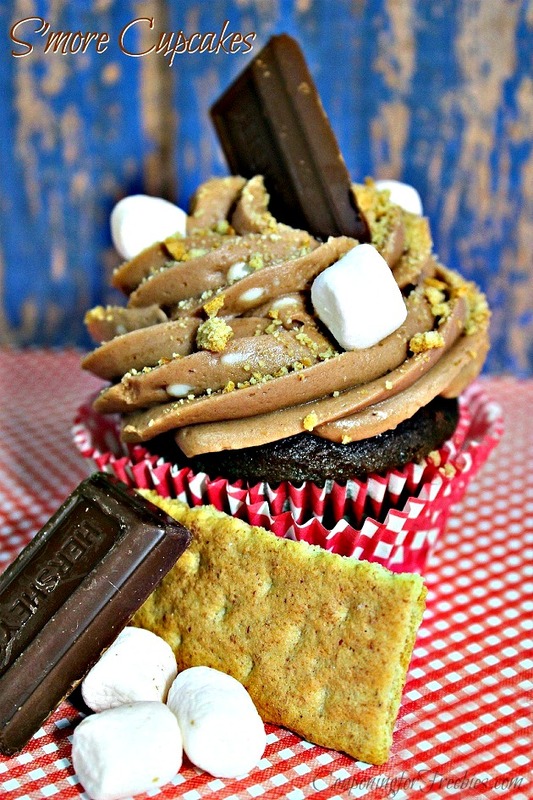 Well if you are like me and love S’mores, then you are going to love this cupcake recipe! Now not only can you have S’mores in the summer time, you can have them all year round with the super yummy S’mores cupcake recipe! It is even pretty easy to make too! If you can make a normal S’more, then you can make this recipe too. However you will need a oven, so no making them while camping. Well, you could if you RV camp like me…lol. These work best when you bake them in cupcake liners. Either paper ones or you can get the reuseable ones. Stir together sugar, flour, cocoa, baking powder, baking soda, and salt in large bowl. Add your eggs, milk, and oil. Beat with a mixer for 2 minutes. Set aside. Break Graham crackers in half and place in ziplock bag. Pound with cookie roller until finely crushed. Scoop 1 Tablespoon of graham cracker into cupcake tin and then scoop chocolate cake batter onto graham cracker. Push in 3 small marshmallows in center. Let cupcakes cool. Once cooled, put on wire rack. Place softened butter in mixing bowl and add in the cocoa and powder sugar. Mix on low until combined. Scrap sides and add in the extract. Add in heavy cream and scrap down the sides. Garnish with graham cracker crumbs, marshmallows and a hershey.